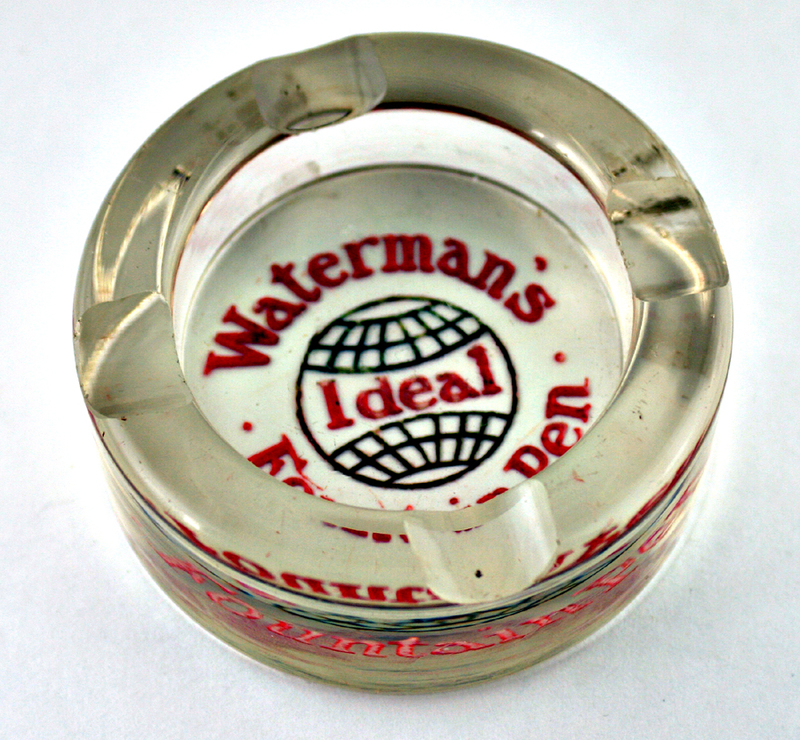 Waterman also produced ash trays. They were rather popular at a certain time, especially amongst people who smoked! Others seemed to prefer the Waterman fountain pens. The ash tray pictured below was an effective advertising unit for Waterman, so long as it wasn’t filled with cigarettes. Which would you pick? An ashtray or a fountain pen? I still suspect Waterman fountain pens and inks were more popular. This entry was posted in Vintage Pens and tagged Ephemera, Fountain Pens, Go Pens, GoPens, Vintage Fountain Pen, Vintage Fountain Pens, Vintage Pen, Vintage Pens, Waterman. Bookmark the permalink. Follow any comments here with the RSS feed for this post. Post a comment or leave a trackback: Trackback URL.